Whew! I’m very behind on my posts this time. Again, I’m still on my mail art kick, doing lots of ATCs and inchies especially! 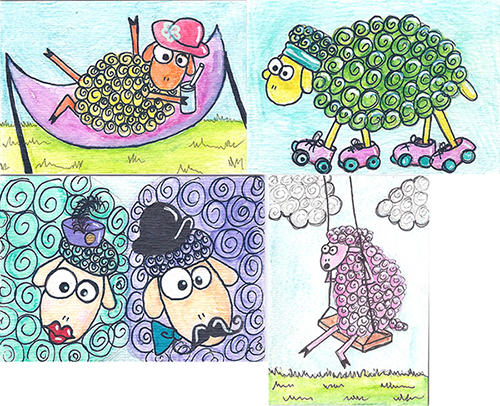 8 cards I did for a private trade with a user from the UK. 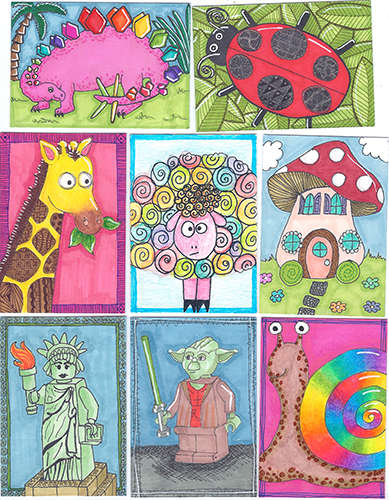 She had a wide variety of subjects she likes to collect, so I had lots of themes to work with! I’m most tickled with the stegosaurus, I love rainbows and dinosaurs. 🙂 There’s a variety of media: marker, gel pen, watercolor, coloured pencil. 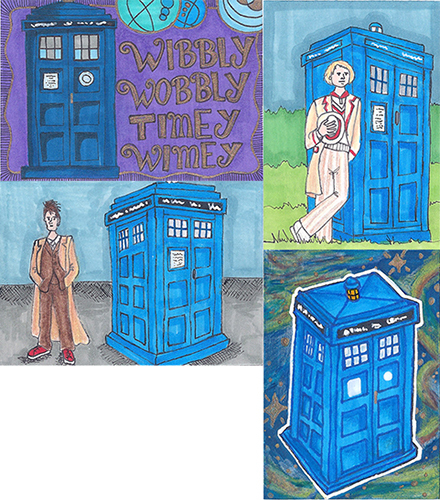 Next up, I did cards for a Dr Who TARDIS swap! Look at all that TARDIS-ey goodness!